The year 2000 marked the turn of the millennium, a moment in time remembered by the launch of the first camera phone, the premiere season of ‘Survivor’, and an inspiring comeback by Pittsburgh Penguins legend and former QMJHL superstar Mario Lemieux. 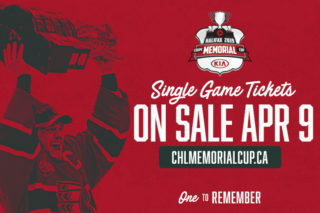 It was also the first year the Canadian Hockey League selected an Atlantic Canada destination for its annual celebration as the QMJHL’s Halifax Mooseheads were tabbed as hosts of the 2000 Memorial Cup, just six seasons since their inception. 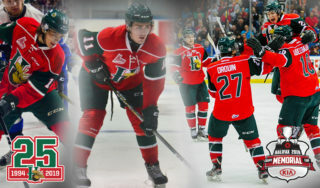 As hosts, the Mooseheads were guaranteed a spot in the tournament, though that didn’t mean any let up for the competitive squad led by forward Ramzi Abid, whose 158 regular-season points finished second in the QMJHL to eventual Memorial Cup champion Brad Richards of the Rimouski Oceanic. A Colorado Avalanche prospect, Abid ultimately re-entered the 2000 NHL Draft, when he was taken in the third round by the then Phoenix Coyotes. 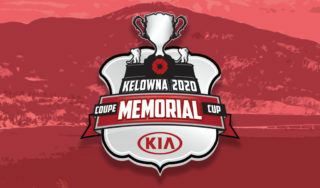 It was a keen selection given Abid’s performance, as the budding forward continued to excel through the 2000 postseason, notching 10 goals and 13 assists in just 10 games before adding another 10 points to tie for the Memorial Cup scoring lead. 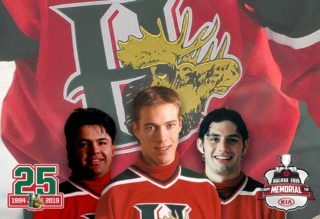 But the Montreal native wasn’t the only future NHLer to pull on the Moosehead jersey that season, as the likes of Joe DiPenta, Ryan Flinn, and netminder Pascal Leclaire, among others, also sported the red and green in 2000. 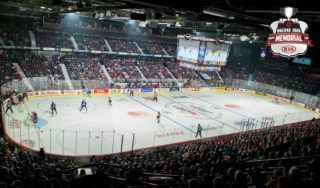 At the Memorial Cup, the hosting Mooseheads were joined by Richards’ Oceanic, as well as the OHL’s Barrie Colts, while the Kootenay ICE rounded out WHL representation. Through round-robin action, Halifax won two games, with its only defeat coming against Rimouski, as the Oceanic went a perfect 3-0 while outscoring the opposition by a nine-goal margin. 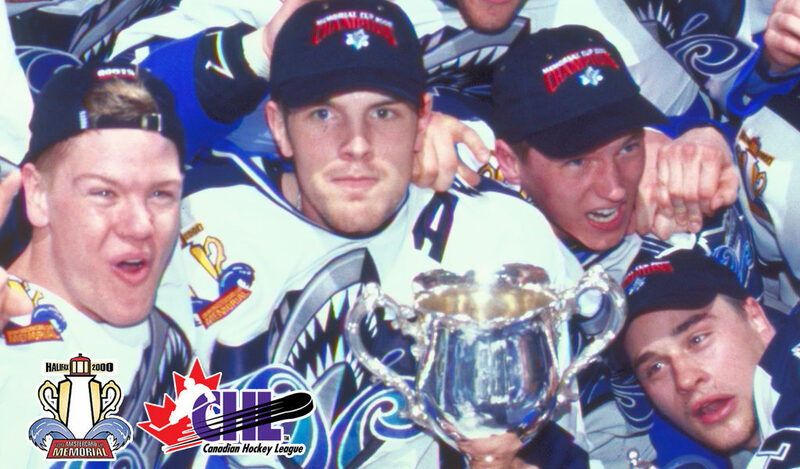 Led by Richards, the 1999-00 winner of the CHL Top Scorer Award as well as the Player of the Year Award, presented to the league’s most outstanding player, the Oceanic went on to claim their franchise-first Memorial Cup. Richards saved his top performance for the deciding game, as he scored twice and added an assist to seal the victory over the Colts. 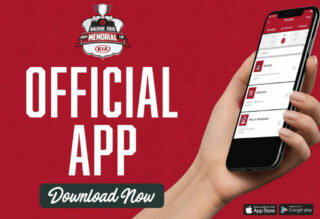 The Prince Edward Island native was presented with the Stafford Smythe Memorial Trophy as the Memorial Cup MVP, his latest accolade in an unforgettable season. It was an early sign of what was to come for the future NHL superstar, who just four years later led the Tampa Bay Lightning to the Stanley Cup. Of course, Richards received the Conn Smythe Trophy as NHL playoff MVP after putting up 26 points in 23 games. In all, he wrapped his NHL career with more than 1,100 games played, topping it off with another Stanley Cup win with the Chicago Blackhawks in his penultimate season.